When James&Co started operation in 2012 there were limited synthetic alternatives to real leather. The simpler technological names are PU (polyurethane) and PVC (polyvinyl chloride of vinyl). 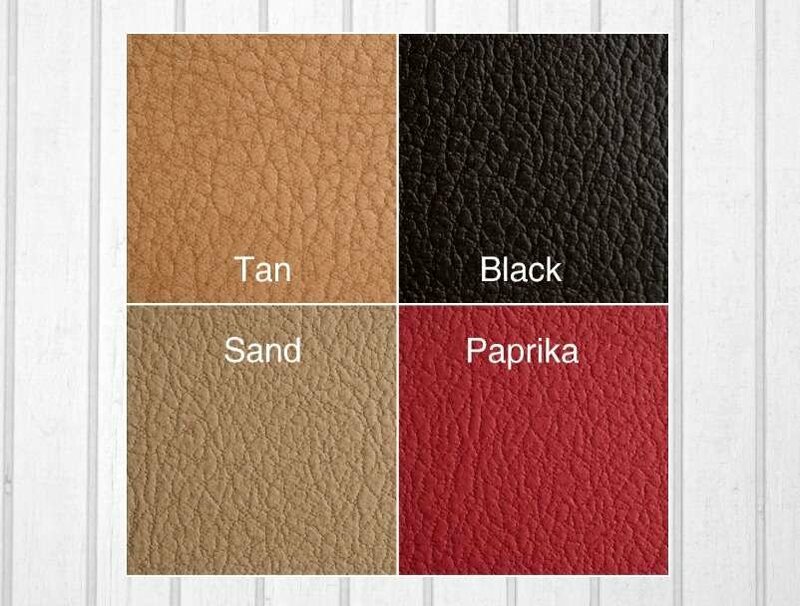 Both PU and PVC are types of plastic coatings which are applied to a synthetic fabric base and give the appearance of leather. They both require creation with an extensive list of raw materials and complex process. PVC is much stiffer than PU and not suitable for apparel. Technological processing for PU and PVC has improved over the years to reduce environmental harm from the processing process, the chemical input and degradable impact. PU has been considered to be be the preferable synthetic leather because its plastics input is less and over time it will eventually degrade. Certainly preferable to real leather and cruelty-free. However PU is still not an environmentally friendly paste or process. This is mainly because the PU coating paste has high levels of the toxic solvent DMF (dimethyl formamide). When emitted during traditional PU processing, the solvent eventually becomes greenhouse gas. These leather alternatives - PU and PVC - acquired a number of shorthand names to differentiate the products they made from real leather products. Fake leather, faux leather, pleather, synthetic leather and such. And then around the same time as James&Co started business fashion labels began calling their products 'vegan leather'. 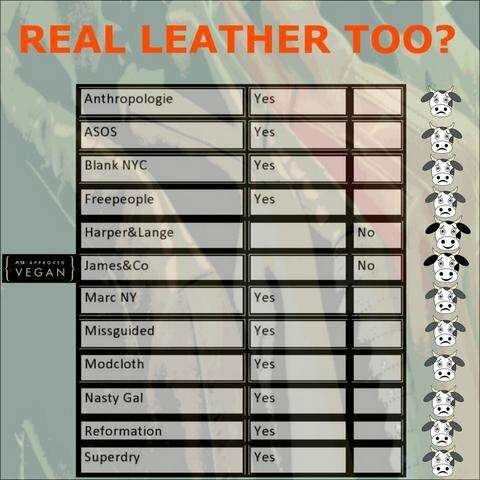 Undoubtedly as a label to signal to the growing vegan population that the products did not contain animal products and were not real leather. Interestingly, the brands themselves were not vegan fashion brands. James&Co undertook some research and the major brands showcasing their vegan leather jackets were also offering real leather jackets. The key differentiator for James&Co was that our brand was Peta-approved Vegan from the time of opening and has only ever used cruelty-free fabrics. 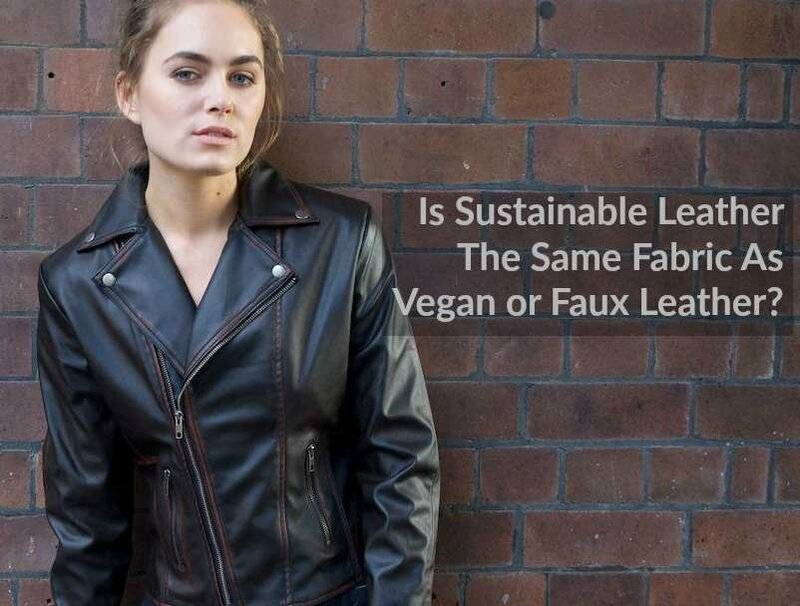 In short, the descriptors of faux or vegan leather as they have been applied to artificial leather do not describe a sustainable fabric. They describe an animal friendly cruelty-free fabric but they still cause harm to our environment and are not sustainable. What makes an artificial leather 'sustainable'? There has been a lot of work going on to create artificial leathers or leather substitutes which do not harm the environment. There is now Pinatex which is a leather alternative made from pineapple leaves. James&Co is growing its of head-turning styles in this innovative fabric. 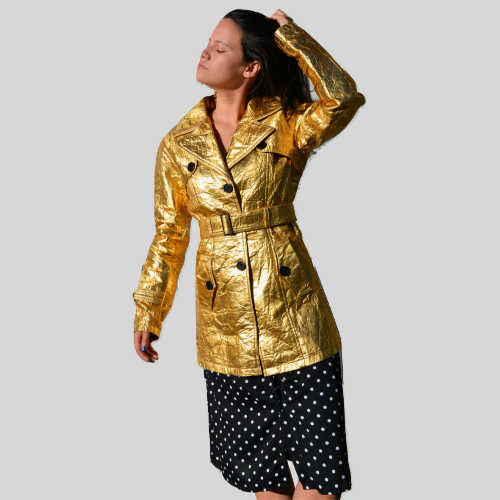 James&Co trench coat tailored in wrinkled gold Pinatex. There are a range of other leather substitutes made from plants - mushroom, grapes, apples. Even from cork. Read more. All really great news for the planet. To date, with the exception of Pinatex, these alternatives have not honed to a thinness that is suitable for apparel. A recent technological development has enabled a leather alternative polyurethane: a coating on a fabric base to look like leather. But its cohesive elements is water, no chemicals involved. It's called water-based PU or WBPU. And its been refined to a thinness suitable for jackets and coats. To distinguish it from the PU that is described as faux or vegan, James&Co is calling the water-based PU as SUSTAINABLE LEATHER. And we're the market leader in adopting it for our sustainable outerwear. James&Co Frannie moto in sustainable leather. Our sustainable leather is made by a technology company in China: Jiangsu Shuqiao Technology Textile Co., Ltd. In the interests of supply side transparency, we share with you the company's document with information about itself and its newly developed water-based PU fabric. Read it here. The fabric is available in 4 colors to date and we will be expanding our core products to include a color choice for our eco conscious women. When James&amp;Co started operation in 2012 there were limited synthetic alternatives to real leather. The simpler technological names are PU (polyurethane) and PVC (polyvinyl chloride of vinyl). These leather alternatives - PU and PVC - acquired a number of shorthand names to differentiate the products they made from real leather products. Fake leather, faux leather, pleather, synthetic leather and such. And then around the same time as James&amp;Co started business fashion labels began calling their products 'vegan leather'. Undoubtedly as a label to signal to the growing vegan population that the products did not contain animal products and were not real leather. Interestingly, the brands themselves were not vegan fashion brands. James&amp;Co undertook some research and the major brands showcasing their vegan leather jackets were also offering real leather jackets. The key differentiator for James&amp;Co was that our brand was Peta-approved Vegan from the time of opening and has only ever used cruelty-free fabrics. There is now Pinatex which is a leather alternative made from pineapple leaves. James&amp;Co is growing its of head-turning styles in this innovative fabric. 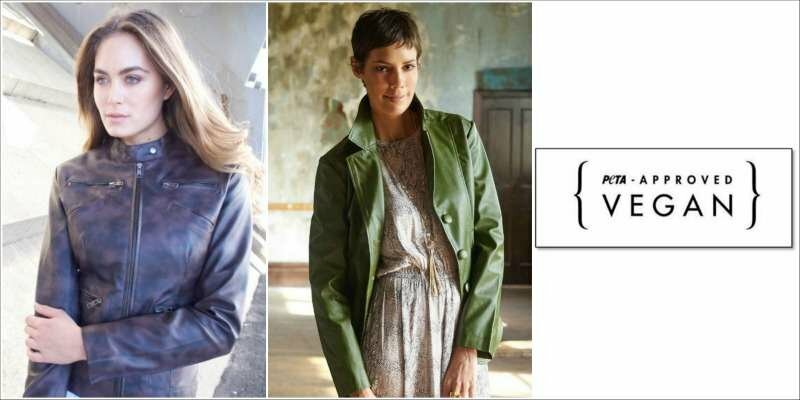 The James&Co blog for eco conscious women breaks down the definitions of alternative leathers and which are eco friendly and sustainable.